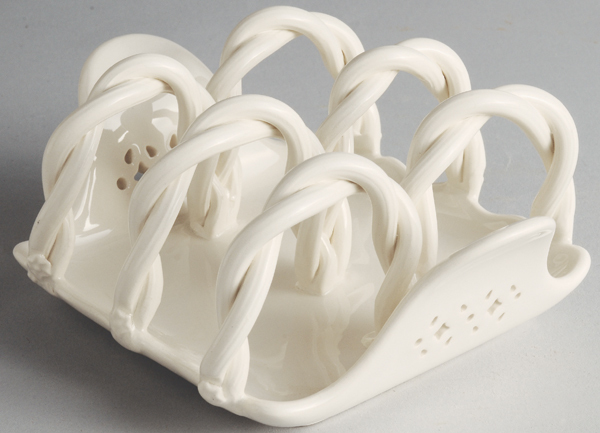 Fine traditional English creamware as made originally in the 18th Century at the Leeds Pottery. Hand crafted using time honoured methods, including intricate pierced decoration, by skilled artisan potters at Hartley Greens & Co of Burslem. Brand new and first quality, dishwasher and microwave safe. Made in England. Hartley Greens have discontinued production, although limited stocks of this item are still available.